Seraphim Solar Panels are our ‘Premium upgrade’ solar panel of choice. Seraphim have proved time-and-time again to consistently be within the top performers of solar panels in the monthly Photon Solar testing in Germany since their inclusion in the test, dating back to October 2011. Seraphim Panels have proved to be the top panel in the field of 2011 inclusions to the Photon Solar Test in Germany. We have been installing Seraphim Solar panels for over 3 years now! However, everytime we install Seraphim panels on a customers roof, it is our install team who is as impressed as the customer with the performance they crank out – straight off the bat. Always over-achieving. Whether we install Seraphim Solar panels coupled with either a German SMA inverter or the ‘best value for money’ inverter in Australia, SMA’s Zeversolar inverter, Seraphim solar panels never disappoint. Here is proof that Seraphim solar panels are not your ‘run of the mill average Chinese panel – They keep respectable numbers with SUNPOWER PANELS – A panel twice its price, but not twice as good! Because of Seraphim Solar panels Slow Solar Degradation – Meaning their performance deteriorates at an unrivalled rate compared to other solar panels on the market (Trina, REC, E.T Solar Panels, Yingli,etc) they can offer better warranties, and most importantly, with confidence. A Seraphim Solar Panel has a 90% performance loss warranty over 15 years (not 10 years like all other solar panels), and a MASSIVE 80% performance loss warranty over 30 years compared to inferior competitor panels which only have Warranty good for 25 years – Just to re-iterate, this is because of the proven (Photon Solar Yield test in Germany) Slower deterioration in Solar panel performance and efficiency. Not only are Seraphim Solar Panels the best performing solar panel for Australian conditions, they are also amongst the best built. Using Japanese components and being sold in Germany, you can tell that Seraphim is aiming for a high-quality solar build. Seraphim Solar Panels were proud announce that they were the first solar panel manufacturer to pass the highly stringent ‘Thresher Test’. This Solar Panel ‘build Quality’ test is designed to see how the panel will last over 20-30 years in extreme weather and harsh conditions, in terms of performance and life expectancy like no test prior. Seraphim Solar Panels need to be seen to believe – There are no solder imperfections on any panel compared to the competition – There Quality Control is simply too good! So good that they SMASHED IT! – Seraphim’s test results were so immensely impressive that they could confidently raise the bar in the industry for Solar Panel Warranty criteria Terms and Length. In conjunction with their development partners, Fuji Film, Seraphim not only passed all the criteria and physical testing, but due to these tests were also able to increase their Manufacturers Warranty from 10 years to 12 years. Seraphim solar Panels are the panel with the best warranties in Australia. Seraphim are a solar panel are like none other solar panel seen before. It is so unique to have a Solar Panel that can really tick ALL THE BOXES. Cost – You would be thinking that these Seraphim Solar Panels come at a hefty price tag. Even we are scratching our heads and puzzled how they can remain so cheap and priced in the market so competitively. Especially after installing system-after-system and visiting the factory in China on numerous occasions. Still don’t believe us that Seraphim solar panels are one of the best panels you can buy in Australia in 2015? READ THIS UNBIASED COMPLETE REVIEW HERE from a HIGHLY RESPECTED SOLAR MAGAZINE. – They are only saying what we have here, but more elegantly, haha. We are solar installers, not journalists remember. If you want a solar power quote on Seraphim Solar Panels click here. Seraphim Solar Panels are sold extensively in Germany, UK and the rest of Europe. 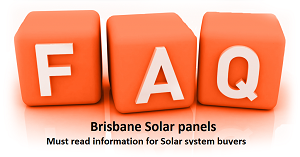 After seeing a Seraphim Solar panel, one of the most common questions asked in the solar industry is finally answered, “What is the best Solar Panel in Australia?”, and the answer, ‘Seraphim Solar Panels’ would not be too far off the mark. we have them all. Seraphim are great. You are in UK. Please contact Seraphim UK. We have been generating good solar from our Seraphim panels but in the last couple of months we haven’t . We seem to think it’s the trees around but this would have shown not been efficient three months Pryor . We have been getting back good credits but that’s gone down dramatically . Probably dropped a string, either isolator drama or mismatched connectors. Statistically that’s what I usually find when the customer notices a significant drop in production. Need more info to go off, really need to be on site at around midday on a clear day and do some basic measurements and all will be revealed.